Delos Van Earl Studios - "Santa Ynez Ring"
68" X 48" X 8"
"Fractured" bronze ring, with multiple coats of red and white paint that is sanded back so you see multiple layers of color. A patina is the final layer, which stains the paint and protects the metal surface. 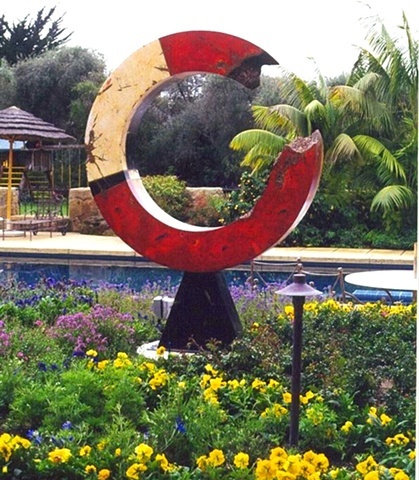 "Santa Ynez Ring" is in a private collection in Montecito, California.